Upgraded mats can be purchased for front floor, rear, trunk and frunk. Tesla now provides all cars with a basic mats for the front and second row floor. 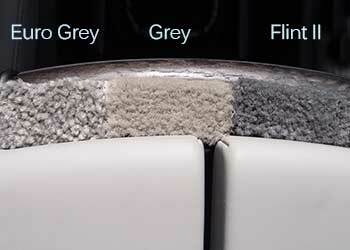 If you have a White, Grey or Tan interior, you should consider a non-black mat color. If you do, you’ll find that the Model S has footwell lights and lights under the seats to illuminate the back floor. With models starting in August 2013, the lights were only available with the premium interior lighting package. Later there were included in all trims. These lights are almost invisible with the back carpet, but add a nice touch when using a lighter carpet color. Non-black mats don’t show every speck of white dust and lint, but may show dirt faster over time and may need cleaning more often. Tesla Motors – They used to offer various Model-S sets, made with high-quality materials, and are black with grey Tesla logo. The carpets are 40 oz density. These were removed around March 2013 from the store, but could return. Tesla also offers a all-weather rubber mats for both the Model S and X.
CoverKing – Offers mats specific for the Tesla Model S front and back areas. They are available in a super plush 70 oz and 40 oz densities. Colors for both densities include Black, Gray, Oak (tan), and in 40 oz only, Charcoal. Available direct, through various dealers including Amazon and Costco. Lloyds – They offer a huge range of colors, sizes and types and offer Tesla Model S specific mats for cabin, frunk and rear cargo areas. Color choices differ depending on the Lloyds mat type you order. The Lux, at 48 oz, and Ultimat at 32 oz, appear to be the most popular styles – the Lux being the more plush and expensive. Lloyds mats are custom ordered through many online and direct retailers.Model S users report to match the black carpet, that the Black default seems to be the best color match in the Ultimat series, and Ebony for Lux series. To match Tan leather seats, we put 6 samples against the center armrests of a Dec-2016 built car. We used direct sun, but two different angles and turned the samples around in the bottom set, which changes the shading. Overall, the Sand and Java were a close match depending on angle, We actually liked Beige a bit better being a touch darker. The Tan also looked good if you want an even darker carpet – maybe to hide dirt. It looks better in person than the photo shows. Sand and M Parchment were the lightest of the choices. We didn’t like Bamboo as it was clearly yellowish in some angles. If you want to match to the Grey leather seats (now discontinued at Tesla), for Ultimat, 137 Euro Gray and 140 Gray are good matches. If you want a darker non-black, 188 Flint II is a good choice. Here are all three next to the grey leather arm-rests in daylight in a Jan-2013 built car. I had a hard time deciding between these three greys, as they all look good, but ultimately went with Euro Grey. The Flint II, while not a match for the grey leather, is a really good in-between for the existing black carpeting and the grey leather upholstery. 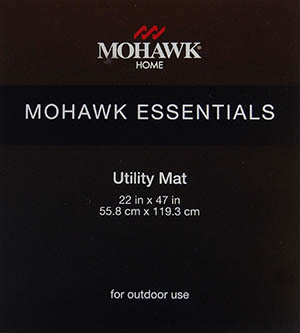 Select Lloyds Luxe 48 oz mats are available from Amazon for the Model S, including the front 2 carpets in Black, Grey or Tan. Target – $13 dark-gray rubber backed mat 22″ x 47″ for the rear seat floor as a quick cheap solution It’s not a perfect fit, and it slides a bit, so it’s not ideal, but the price is a bargain. This was more useful for early owners before Tesla included a quality rear carpet. WeatherTech – They offer quality rubber mats, and now have Tesla specific mats. Some users have reported the rubber mats at Tesla Motors are made by WeatherTech and are lower in cost from Tesla. Update: After 11 months with the gray carpeting, they still look new. Other than occasional vacuuming, I’ve never had them washed. Keep in mind I’m in California, and never deal with snow and slush.